Hi everyone it’s Holly here today! Are you ready for Christmas yet? I know I’m not, it seems like it comes fast once the beginning of December gets here. I’ve been busy creating all my Christmas cards and this was a fun one to create. I started with a piece of Bristol card stock cut to 4 1/4” x 5 1/2” and then I added some Antique Linen Distress ink to the background to create a light wash. Once that was dry I adhered the panel to an A2 size card base and stamped the sentiment from the Peace Love Joy stamp set in VersaFine Black ink. I set the card aside and started on the flowers. I stamped each of the flower petals and leaves from the Poinsettia stamp set onto some Bristol cardstock using Candied Apple and Lucky Clover Distress Oxide inks. Then I spritzed the images with water and let them dry. Once everything was dry I stamped the outline images in black ink. Then I cut them out with my scissors. I stamped the dotted image from the same set onto some white cardstock and heat embossed them in gold glitter powder and I trimmed them out. Then added the centers to the flowers and adhered them to the card front. I added the leaves and some gold sequins for an extra pop of the gold. 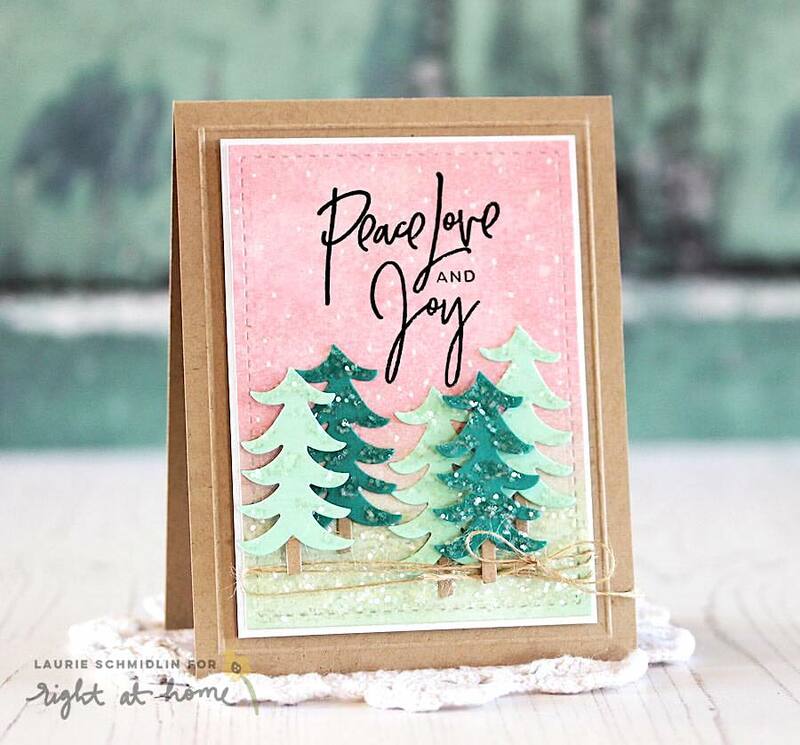 I love the new Distress Oxide Inks they are so versatile and you can stamp with them. And sets this the Poinsettia one with solid images is perfect to use with your Oxide inks. Have a great week and a Happy Holidays!